Congratulations to Mr. Charles (Chuck) Swain, who on April 4, 2018 received "The Employee of the Year" Award for being the "Motor Carrier Inspector" of the year from the Maryland Transportation Authority Police for the State of Maryland. 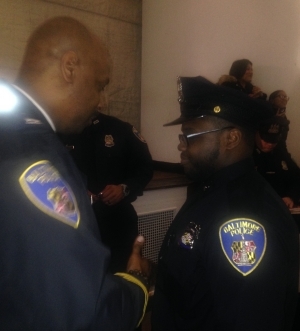 Mr. Tildon will be sworn in as one of Baltimore City's newest Police Officer. "Congratulations on a job well done"! Be Smart, Stay Safe and Don't go chasing them fools up no dark alley without first calling for back-up. The Hubbard Family 2012 Top Personal/Academic Achievement Award Recipient. In Honor of Your Academic Achievement and Leadership Ability, The Hubbard Family presents this award in recognition of your acceptance into Newman University with honors, and a grant of $20,000.00 from the Newman University. 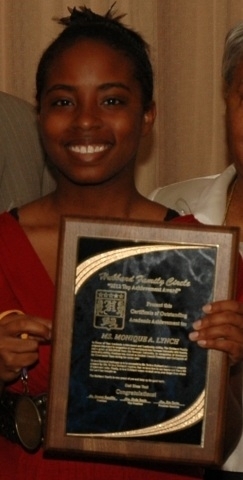 In recognition of Monique’s leadership ability, Monique was elected as Student Council President and Co-Captain of the Cheerleader Team during her senior year. To be a Hubbard challenges us to be successful in life. To be a Hubbard orders us to properly prepare for life. To be a Hubbard requires that we have love in our hearts and live a life of peace and unity. Finally, to be a Hubbard means we shall never, ever forget from where the Lord has brought us. Hubbard Family Circle 2010 Top Academic/Personal Achievement Award Recipient. In Honor of His Academic Achievement and Leadership Ability. 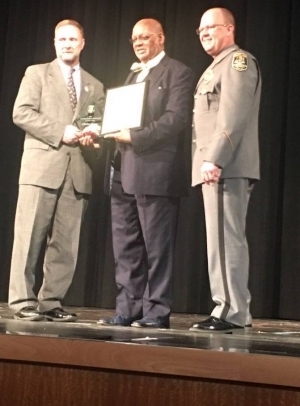 Jordan Received the Sudbrook Soaring Eagle Award in Appreciation for Superior Artistic Performance, Service to the Community and Service to the School. 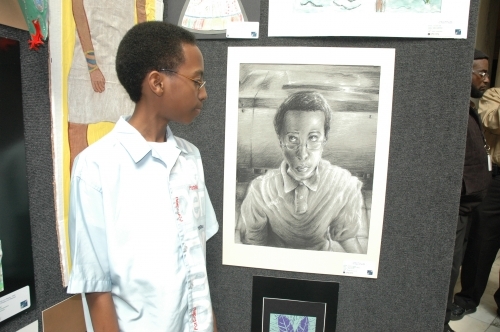 Your Acceptance into the General Fine Arts Magnet Program at George Washington Carver Art & Technology High School in Towson, Maryland. Last but not last,…Your Drawing that was on Display at the Walter’s Art Museum in Baltimore, Maryland on March 2nd through March 7th 2010. The Hubbard Family is Very Proud of you and encourages you to keep up the excellent work. Congratulations Jordan! Keep up the excellent work. The Hubbard Family is Behind you 100%. An example of Mr. Jordan Franklin Art Work That was On Display at Walters Art Museum In Baltimore. 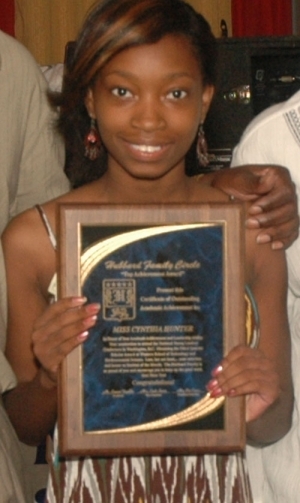 The Hubbard Family 2009 Top Personal/Academic Achievement Award Recipient. In Honor of Cynthia's Academic Achievement and Leadership Ability. Her nomination to attend the National Young Leaders Conference in Washington, D.C. 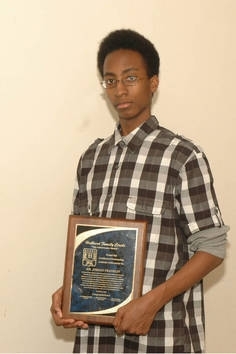 Obtaining the Third Quarter Scholar Award at Western School of Technology and Environmental Science. Last, but not least,...her selection and honor as Student of the Month. The Hubbard Family is so very proud of you and encourage you to keep up the excellent work. Congratulations Cynthia! Keep up the excellent work. 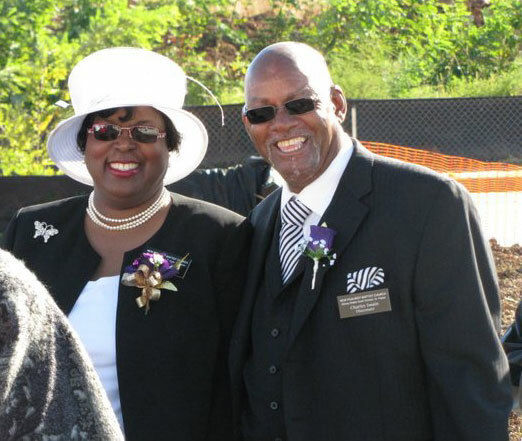 Chuck and Linda Swain has been ordained as Deacon and Deaconess at the New Psalmist Baptist Church, 4501 ½ Old Frederick Road, Baltimore, MD 21229.